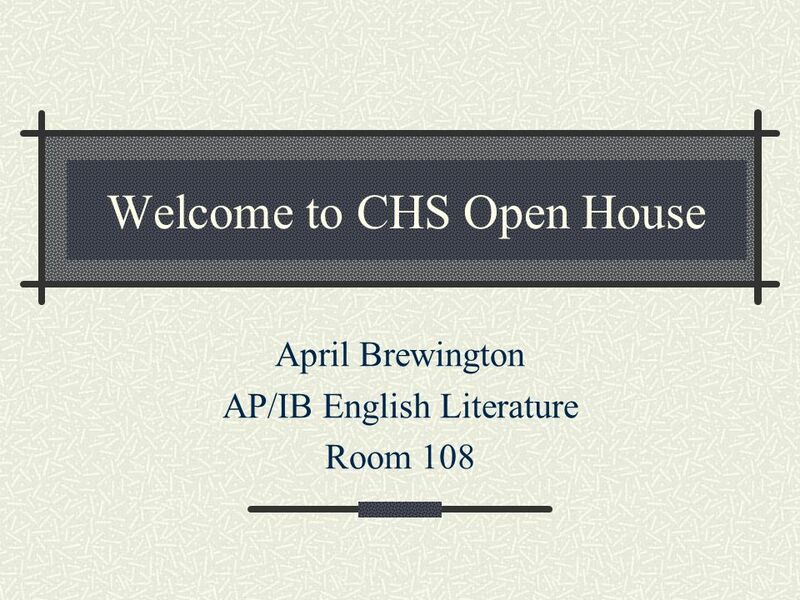 Welcome to CHS Open House April Brewington AP/IB English Literature Room 108. 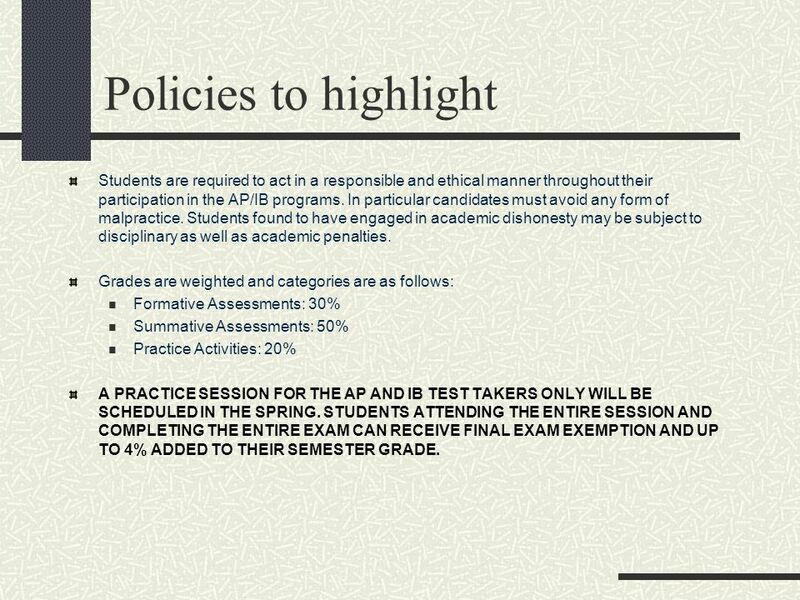 7 Policies to highlight Students are required to act in a responsible and ethical manner throughout their participation in the AP/IB programs. In particular candidates must avoid any form of malpractice. Students found to have engaged in academic dishonesty may be subject to disciplinary as well as academic penalties. 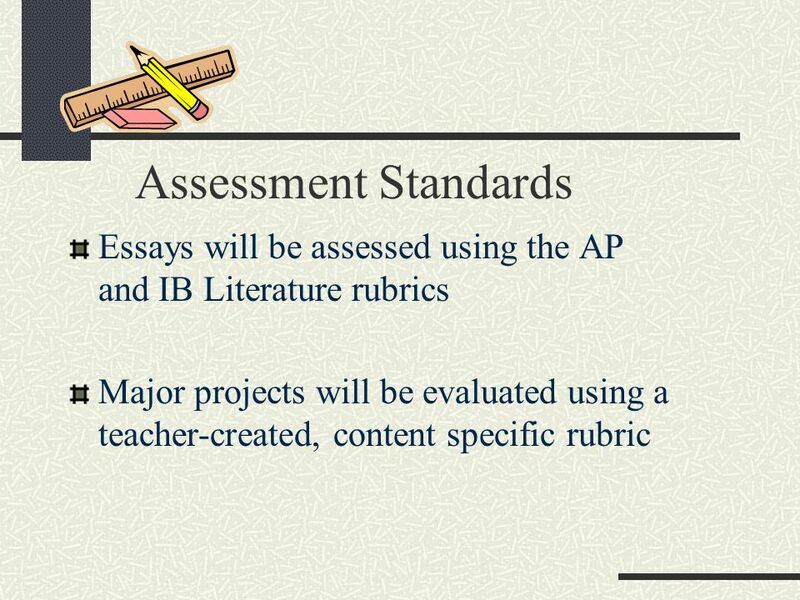 Grades are weighted and categories are as follows: Formative Assessments: 30% Summative Assessments: 50% Practice Activities: 20% A PRACTICE SESSION FOR THE AP AND IB TEST TAKERS ONLY WILL BE SCHEDULED IN THE SPRING. STUDENTS ATTENDING THE ENTIRE SESSION AND COMPLETING THE ENTIRE EXAM CAN RECEIVE FINAL EXAM EXEMPTION AND UP TO 4% ADDED TO THEIR SEMESTER GRADE. 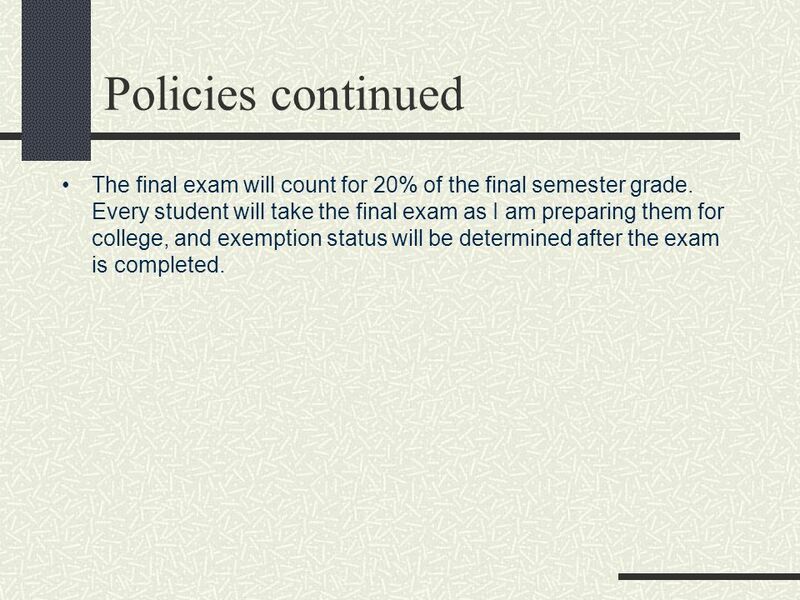 8 Policies continued The final exam will count for 20% of the final semester grade. Every student will take the final exam as I am preparing them for college, and exemption status will be determined after the exam is completed. 10 Thank you for coming tonight. 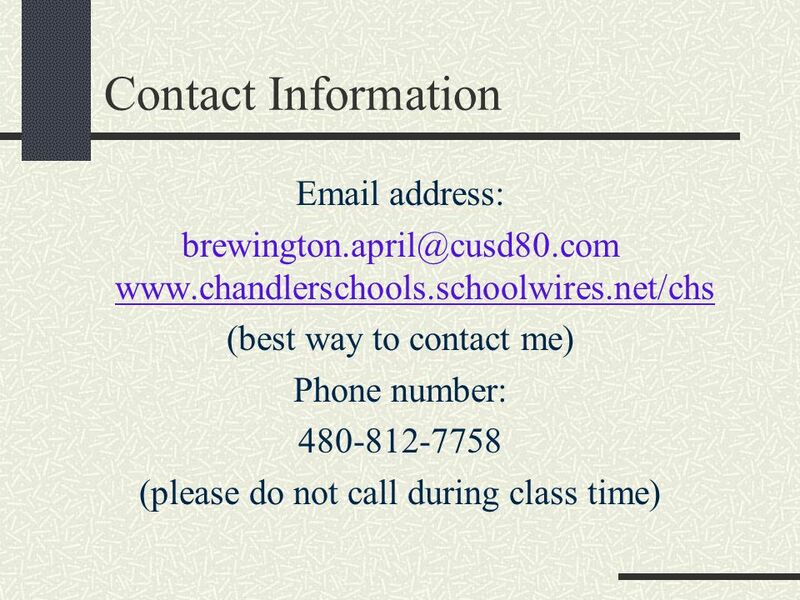 Please check you students grades online often, and email or call me if you have any questions. 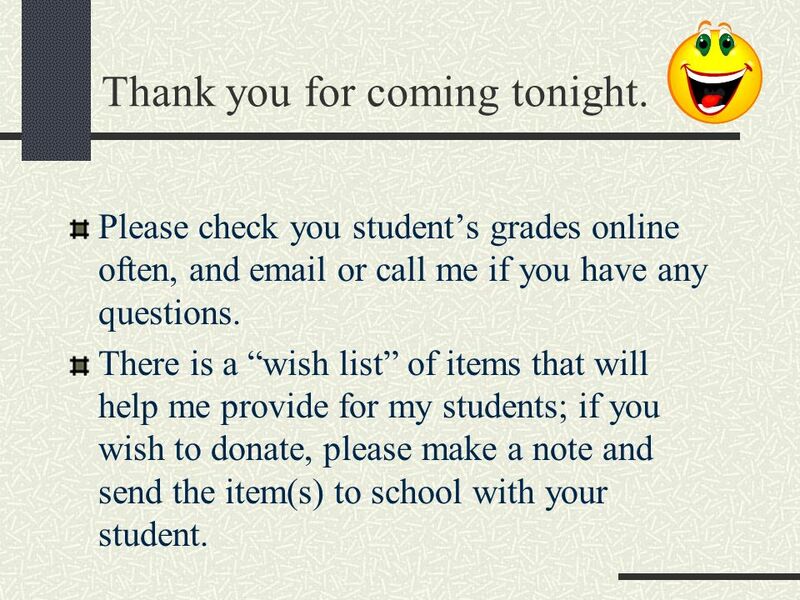 There is a wish list of items that will help me provide for my students; if you wish to donate, please make a note and send the item(s) to school with your student. 12 Brace yourselves. 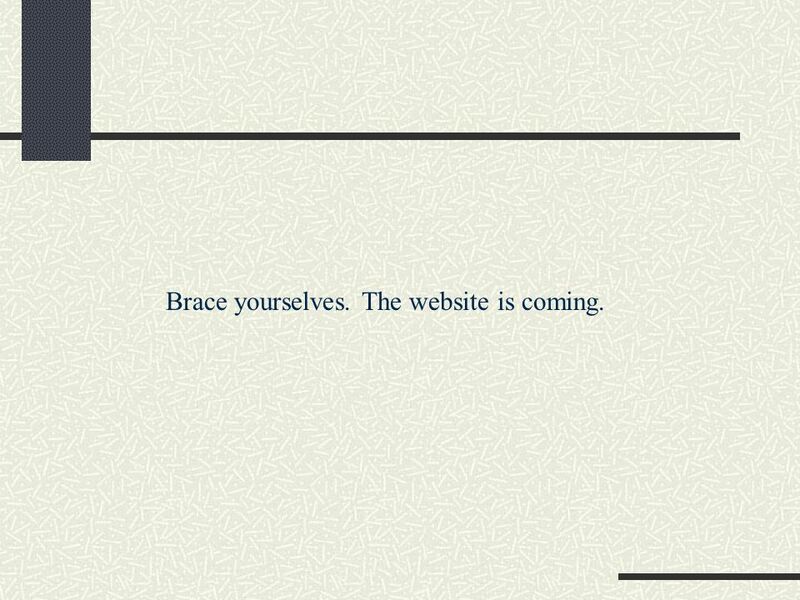 The website is coming. 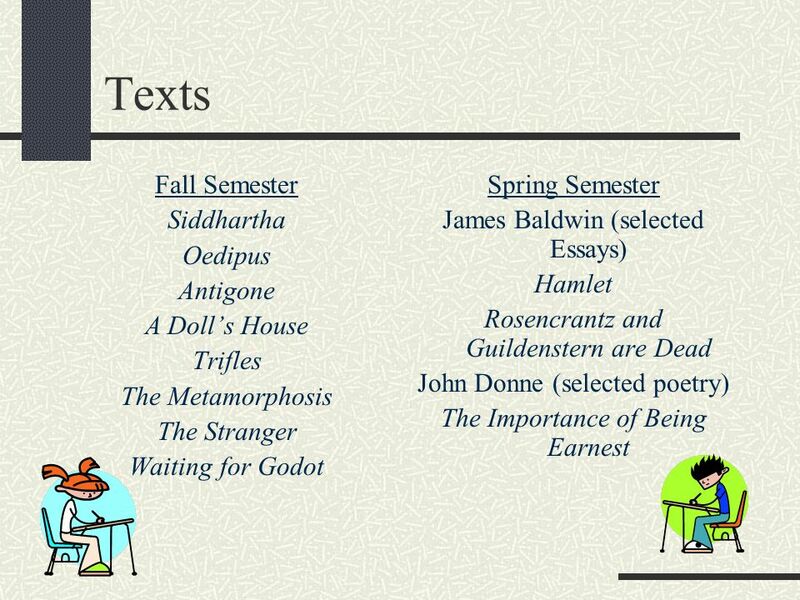 Download ppt "Welcome to CHS Open House April Brewington AP/IB English Literature Room 108." 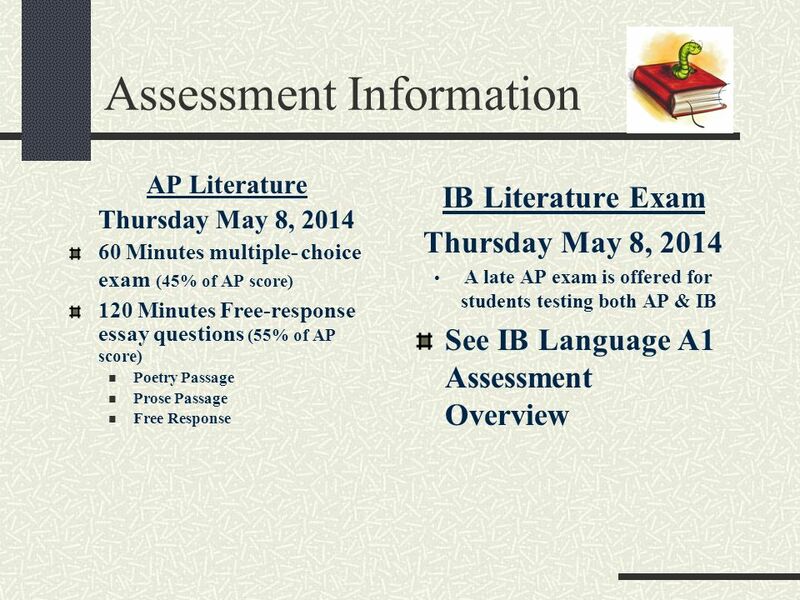 Assessment in AP and IB English Exams in Junior Year English Regents Exam English Regents Exam May: AP English Literature Exam May: AP English. Medford High School Mr. David Ambrose English 10: British Literature Thursday, September 19, 2013. IB BIOLOGY – 11 TH GRADE IMPORTANT INFORMATION FOR THE JUNIOR YEAR. P inecrest P reparatory m iddle- h igh welcomes you to our Open house. Welcome to English 3CP Mrs. Wallace Room A220 Period 6. 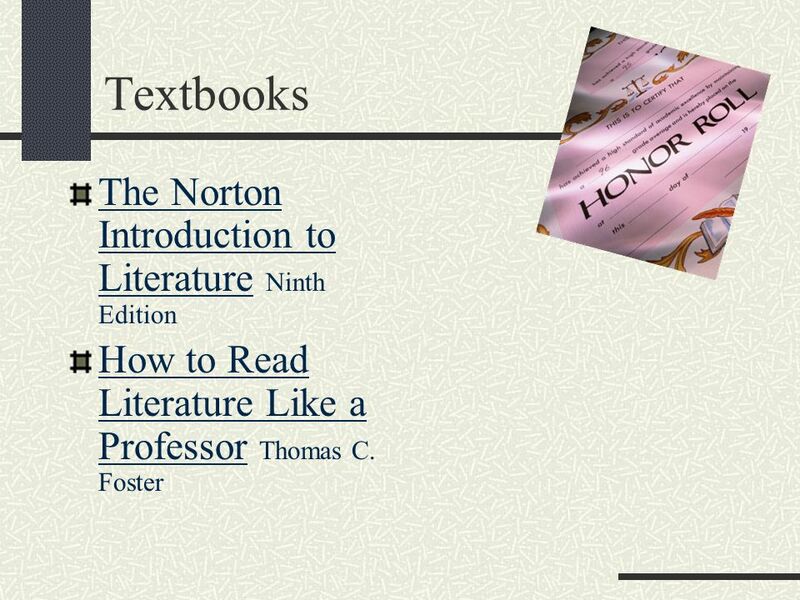 Welcome to Honors 10 th Grade English with Mrs. Black. Welcome to CHS Open House Amy Komitzky (Henning) AP/IB English Literature Room 103. 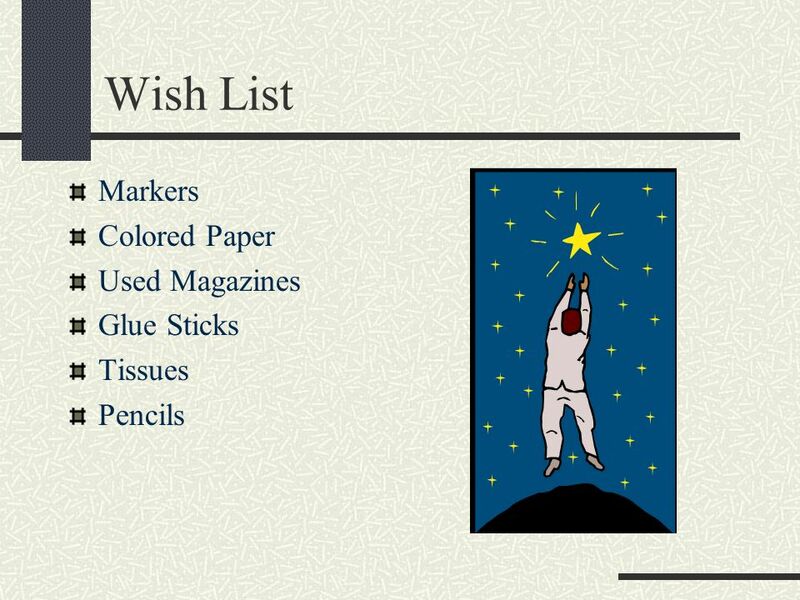 Pens/Pencils Dry Erase Markers Tissues Scientific Calculator Ream of Paper. 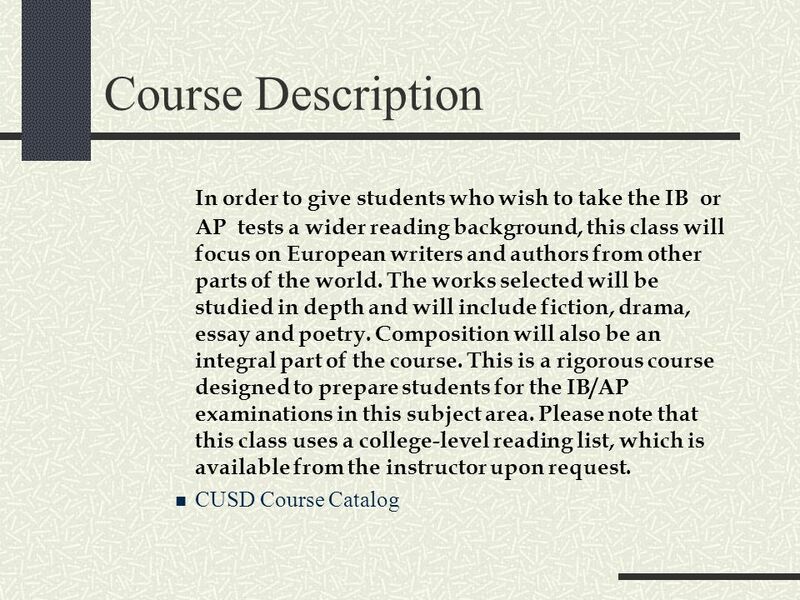 Introduction to Advanced Placement Language and Composition.